That’s what we call bumper! Tons of stickers in each. Great party bag gifts and holiday boredom-busters. Scholastic Activities is our homegrown series for the very best in awesome stuff to do. At least 100 stickers in each book, plus puzzles, games and colouring. Whopping fun galore. 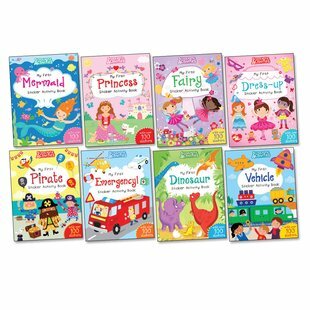 From dinosaurs to mermaids, pirates to vehicles, this activity pack is full of stuff you’ll love. Too much fun for one kid? Don’t be afraid to share with your brothers, sisters and buddies.